Turning Vision Into Action: Aim high: Beyond the Common Core! Since the release of our 2012 Series, Common Core Mathematics in a PLC at Work, my colleagues and I have had the opportunity to work with thousands of teachers, teacher teams and school leaders across the country trying to urgently and consistently seek deeper and more meaningful solutions to a sustained effort for meeting the challenge of improved student learning in mathematics. From California to Virginia, Utah to Florida, Oregon to Connecticut, Wisconsin and beyond, we have discovered a thirst for implementation of K-12 mathematics programs that will sustain student success over time. Certainly the CCSS –M has been a catalyst for much of the recent focus and conversation (and to some extent the national rhetoric and angst) but your essential work as a mathematics teacher and as part of a collaborative mathematics team in your local school and district, takes you far beyond the politics of the standards – whatever your state standards may be. In other words you must rise above the rhetoric and simply do what is best for the student learning of mathematics. And what is best is increasingly NOT up for debate (See my top ten list of “Must Do” actions at the end of this blog). The local school district, mathematics program or department goal has always been to achieve a level of mathematics performance greatness well beyond the expectations of your state. As I have often said in many professional development sessions, if you are aiming at the local level to only meet the assessment expectations of your state, then you have aimed too low. Whether you are from a state that is participating in one of the two state CCSS assessment consortia, or from a state that uses a unique mathematics assessment designed only for that state, it should be your goal to establish work activities that allows you to far exceed those expectations – whatever they may be. It begins by understanding the thousands of instruction and assessment decisions you, your leadership team, and your colleagues will make this year, as you inspire students to learn. What does matter (in terms of high levels of student achievement) are the thousands of decisions your collaborative teacher teams will make every year, every unit, every day. And whether or not those decisions are any good. A vision cannot be true or false but ultimately is evaluated against other possible directions for your classroom, your school or your district. I suggest in this blog, that if you want to aim high, you must pursue a coherent, non-negotiable and compelling vision for mathematics instruction and assessment built on 10 essential collaborative team actions. There is only so much time and energy. Yet, you can also feel the inequity and pockets of inadequacy that remain in your school due to too much isolated decision making. Your teaching and assessing decisions need to become part of reflective collaborative team decisions based on evidence of student learning. My role as a teacher is to evaluate the effect I have on my students. It is to ‘know thy impact’, it is to understand this impact, and it is to act on this knowing and understanding. 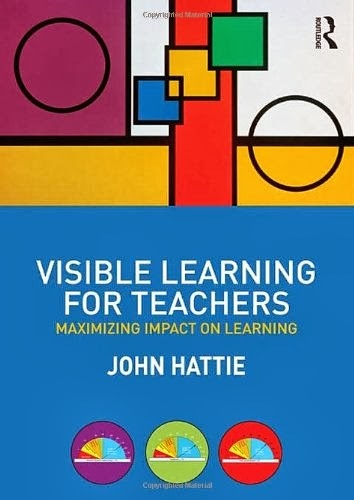 This requires that teachers gather defensible and dependable evidence from many sources, and hold collaborative discussions with colleagues and students about this evidence, thus making the effect of their teaching visible to themselves and to others (p.19). And the answers have been consistent: Wide variances on assessment coherence (low 1, 2 or 3 coherence scale scores mostly) and wide misunderstanding and views or vision for mathematics instruction and assessment – this is from school leaders and teachers in the same building – much less across buildings in your district. In most school districts, student mathematics performance almost always lags behind other disciplines. The lack of a coherent and consistently implemented vision for instruction and assessment is one of the primary reasons. You use the Unit (or Chapter) of content as a natural cycle of time (think Grain Size for Analysis) for meaningful formative assessment, analysis, reflection, and action by teachers, students and administrative leaders throughout the year. The unit might last one week, two weeks, but no more than four weeks, as the cycle of this work becomes part of a continuous learning process for the students and for the teachers. There are 10 critical team pursuits on a Unit-by-Unit basis. 1) Agreement on the expectations and intent of the common “Big Idea” Learning Standards for the unit and the processes (mathematical practices) for student learning of those standards. 2) Development of high quality common assessment instruments (tests) for the unit based on an evaluation tool for improving current unit assessments. 3) Development of accurate scoring rubrics for the common assessment instruments and a plan for scoring those assessments. 4) Identification and discussion for the student use of high cognitive demand tasks as part of the instruction during the unit. 5) Development of high quality common unit Homework Assignments based on an evaluation tool for improving current assignments. A robust vision for the instruction of mathematics distills down to what your students are doing during class. How are they engaged? Where are the most significant conversations taking place in your classroom: Student-to-Student or Teacher-to-Student? Moreover, do students see each other as reliable and valuable resources? To go beyond checking for understanding from the front of the classroom, and move into meaningful formative feedback as part of instruction, requires the use of rich mathematical tasks that allow for robust student discourse, and requires well managed activities as teachers loop though class and orchestrate all types of advancing and assessing prompts – allowing student engaged exploration, discussion and action with their peers. There are three during the unit pursuits by your collaborative team on a Unit-by-Unit basis. 1) Team discussions regarding the development of student proficiency in each of the Mathematical Practices though the management and use of in-class high cognitive demand mathematical tasks as part of instruction. 2) Team discussions regarding the development of student proficiency in each of the CCSS Mathematical Practices though the use of effective in-class formative assessment small group discourse. 3) Team discussions regarding the development and use of the CCSS-M Mathematical Practices Lesson Design tool (Kanold, et. al, 2012) as part of daily lesson planning and design. This [teacher collaboration] is not critical reflection, but critical reflection in light of evidence about their teaching. After the instruction for a unit is over and the common assessment has been given to the students, your students must reflect on the results of their work, and be willing to use the unit assessment instrument to serve a formative feedback purpose. From a practical point of view, each collaborative team’s “act of reflection in light of evidence” is best served by performing an end of unit analysis of student results on the common assessment as you focus your next step teaching and assessing actions during the next unit. There are two end of unit pursuits (for reflection and action) by your collaborative team on a Unit-by-Unit basis. 1) Ensure all students use the common assessment instrument as a formative learning - goal setting and action - opportunity. 2) Ensure evidence and results from the assessment instrument are used for Adult goal setting and action in the next unit of study and beyond. Diagnose these ten high-leverage actions of every collaborative team. Rate the current levels of implementation (0 percent low and 100 percent high). How might you use this information to identify which adult behaviors and actions need to become a priority for your sphere of influence during 2014-2015 and beyond? The new paradigm for the professional development of mathematics teachers requires an understanding that the knowledge capacity of every teacher matters. More importantly, however, is that every teacher acts on that knowledge and transfers the professional development they receive into their daily classroom practice. I wish you the courage to take action – today, tomorrow and forever! Thanks so much for the great roadmap of how to develop great math units for common core! I really enjoyed your session at the NCTM in Las Vegas! I am hoping to review the slides and find out the fourth big idea...could you point me in the right direction? Thanks so much, I was truly inspired.